The holidays are officially and undeniably upon us, which means the internet is awash with everything peppermint. Just like one month ago it was everything pumpkin, and one month from now it’ll likely be a sea of red velvet. That’s just how the internet works, apparently. And while I am loath to contribute to the peppermint-ing of the blogosphere, I’ll be honest when I say that I have been waiting since June to share these brownies with you. I mean, Christmas decorations appearing in stores well before Halloween is bad enough… so I figured you wouldn’t much appreciate me posting an all-out festive dessert in the middle of summer. I sat on the idea, as visions of candy canes danced in my head in the 90-degree heat. Until I finally had an excuse to make these divinely inspired brownies. Our annual food blogger holiday shindig last night was the perfect venue to debut their decadence. And now I can finally share them with you. Joy! I’ve said before I like my brownies dense and fudgy (if I wanted something cake-like I’d bake a freaking cake). Well, I think the picture above shows you that these brownies go well beyond fudgy. They are perhaps the fudgiest brownie in the history of the world. And I’m totally cool with that. The brownies are then topped with, well, peppermint bark. A layer of smooth white chocolate studded with crushed candy canes. The peppermint bits are just bright enough to hold their own against the brick of dark chocolate brownie. Now that I think about it, I should have shared these in June, gosh darn it. Candy cane or not, they are totally appropriate ANY time of year. Note: This recipe has been re-tested and updated as of December 20, 2015, after receiving a few comments that the brownies came out crumbly. 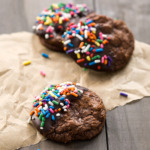 This new version is moist and fudgy and even better than before! This perfect holiday dessert recipe combines two of your favorite desserts in one: rich, fudgy brownies topped with sweet white chocolate pepper mint bark. Preheat oven to 350ºF. 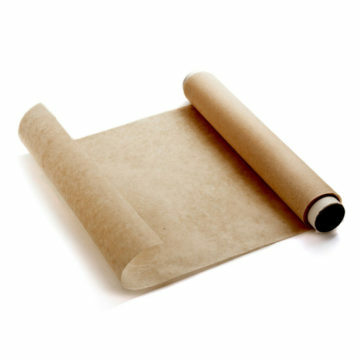 Line the bottom and sides of a 8-by-8-inch pan with parchment paper, leaving a slight overhang on two edges. Sift together flour, cocoa, baking powder, and salt in a small bowl and set aside. 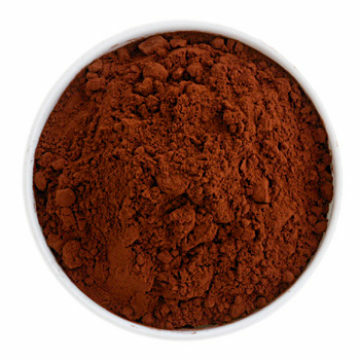 Melt chocolate and butter in a double boiler or a medium-large bowl set over gently simmering water. Stir until smooth, then remove from heat. Whisk in sugar and stir until mostly dissolved and mixture has cooled slightly. 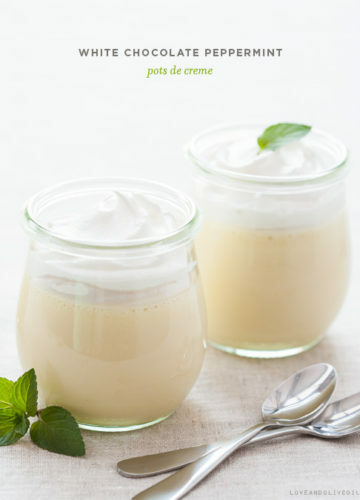 Whisk in eggs, vanilla, and peppermint extract until just combined (do not overmix). 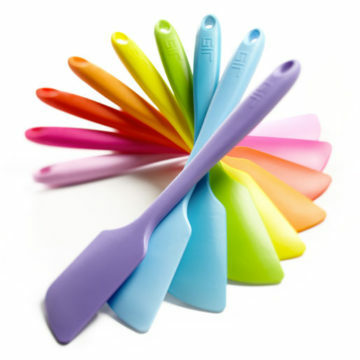 Sprinkle flour mixture over top and fold in to chocolate mixture using a large rubber spatula until just incorporated. Pour into prepared pan. Bake for 25 to 30 minutes or until toothpick inserted into the middle comes out clean. Transfer pan to a wire rack and allow to cool completely. Gently melt white chocolate and shortening together in a double boiler or in short bursts in the microwave on low power (white chocolate is very fragile and so you want to be sure you melt it very gently; be patient, rushing is the quickest way to ruin it). Remove from heat before it is completely melted; the residual heat will be enough to completely melt it. Pour over brownies, spreading into a thin, even layer. Sprinkle with candy cane pieces. Chill until set, at least 30 minutes, or preferably overnight (these brownies are at their best and fudgiest when chilled in the refrigerator overnight). Remove brownies from pan using the edges of the parchment paper to lift the entire block out of the pan. Using a large sharp knife, cut into 9 squares, then diagonally in half into triangles. Brownies will keep, covered in the refrigerator, for up to 5 days. Why didn’t I think of this? 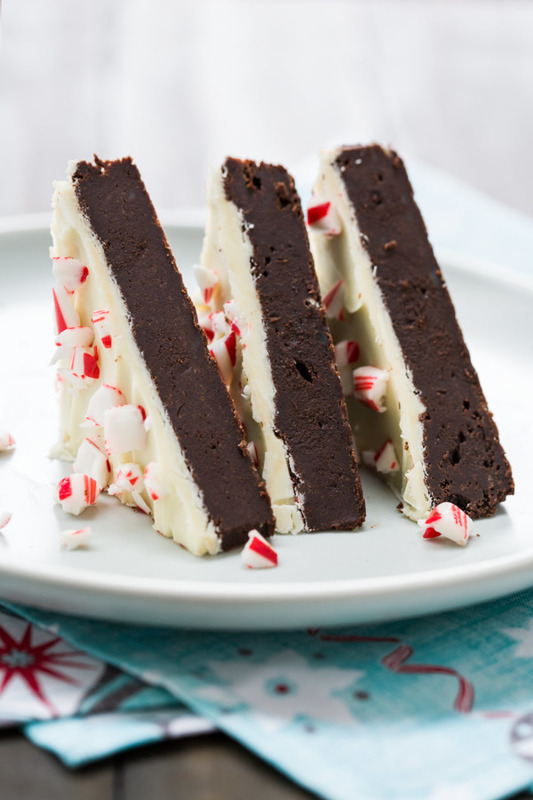 I absolutely love peppermint bark, so adding it to a brownie base is just brilliant. Looks excellent! Def on my holiday baking list now! 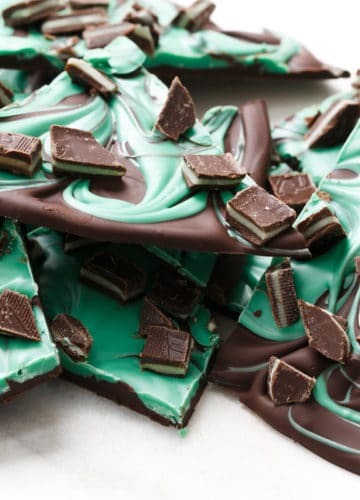 I love peppermint bark and this combination seems just perfect! Those brownies look incredible – so rich and dense and gooey. I’m going to have to go and make these immediately. There isn’t a better combo than peppermint and chocolate…well, I mean peanut butter and chocolate.. ok, there’s ALMOST no better combo than peppermint and chocolate.. I am so with you on this “if I wanted something cake-like I’d bake a freaking cake” – Amen! I love dense, rich fudgy brownies and yours are perfect. Along with that thick layer of bark! Pinning – they are just so perfect! you just made my whole life. Yum! 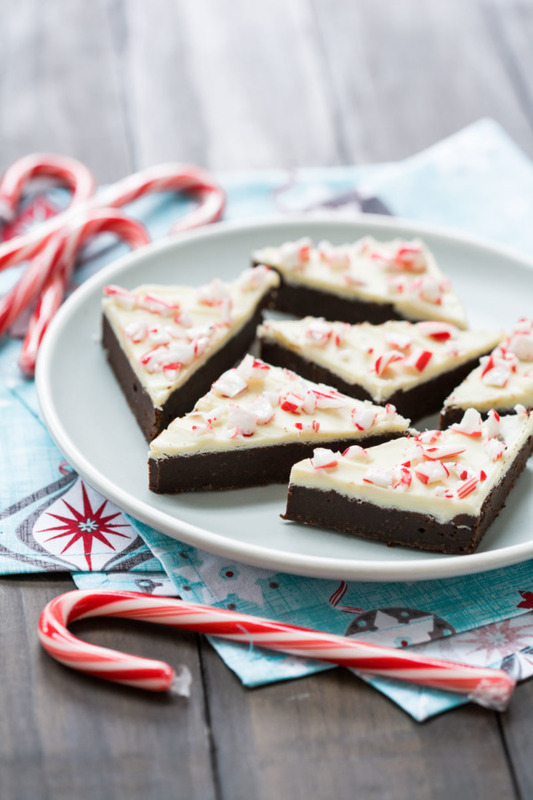 I love peppermint bark and these brownies look amazing!! I second the cake comment as well, brownies are dense, cake is fluffy, it’s just the way it is! I love that you married brownies and peppermint bark! I was just thinking these looked like the fudgiest brownies in the world…and then you said it yourself! They look amazing and love the peppermint crust. Yum! These look so yummy! And BEAUTIFUL! eeee love these!! I think those candy cane kisses – I’m obsessed with – would be perfect on these too! These are magical looking! White chocolate and peppermint sounds awesome. We don’t seem to have peppermint anything here in Germany and seeing all these peppermint recipes the last week or two is killng me! Even though I’m not really a peppermint fan, these look great. How creative! I love them. . .
Would be nice to serve my folks something different this year for Christmas. . .
BTW This is where I found some good recipes this year. . .
Wow, yours turned out beautiful!! I just made peppermint bark for the first time this weekend & can’t stop eating it. These sound even better! Great idea. So incredibly gorgeous and delicious looking!!! fudgy brownie heaven!!! Yes yes yes please. These would work just fine in my belly right now!! These look delicious! :) Happy holidays! I just found your blog & your recipes look amazing!! Thanks for sharing!! I LOVE your take on brownies! Every brownie should be shoved full of chocolate and just meeeeeelt in your mouth! And the pepermint aspect to the brownie sounds so festive and tasty! I know what I’m making this weekend! Love fudgy brownies as well. I recently made a Peppermint Pattie Cake that this totally reminds me of – it’s a chocolate bundt cake topped with a chocolate ganache, thick peppermint glaze, and crushed candy canes – soooo easy to make, SO pretty anddd delish!! Oh…I couldn’t agree more, you want cake..bake a cake! These little treats look ridiculously delicious! 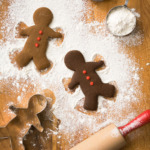 Perfect for the holidays, definitely making this weekend! Its so funny how flavors /colors evoke different seasons in the blogosphere! 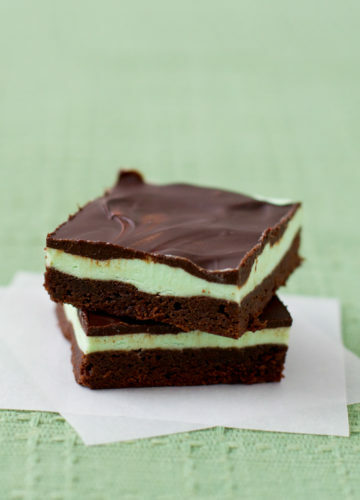 These brownies look like a dream come true for any peppermint lover! Gorgeous, as always! They look the perfect treat to serve at a holiday party! Oh, my gosh the brownie portion of this recipe looks so thick and fudgey and absolutely sinful! Yum!!! These brownies look so dense and chewy and delicious! I do need to use up a huge bag of peppermint candies that I recently found, and this might be just the way to do it! Oh my amazingness! yes to fudge. yes to brownies. yes to peppermint. yes, yes, yes! I wish I had seen these earlier today. I would have made them for my office potluck tomorrow. Oh well… guess that means I’ll just have to make them and eat them all myself… shucks. Thanks a lot of the Great Food Blogger Cookie Swap from Italy. It helped not only to share cookies and recipes, also to build frienships. This is perfect for the holidays! Your peppermint bark brownies look gorgeous in the pics, I can practically smell the aroma. Thanks for sharing. And a big THANKS for organizing the Great Food Blogger Cookie Swap with Julie. You guys are awesome to be so generous with your time. Happy Holidays! These look like absolute perfection! Oh My Word!! I want these NOW!! (and I might try a cream cheese – peppermint – white chocolate frosting…) just to give in to my peppermint cream cheese fetish!! YUM! 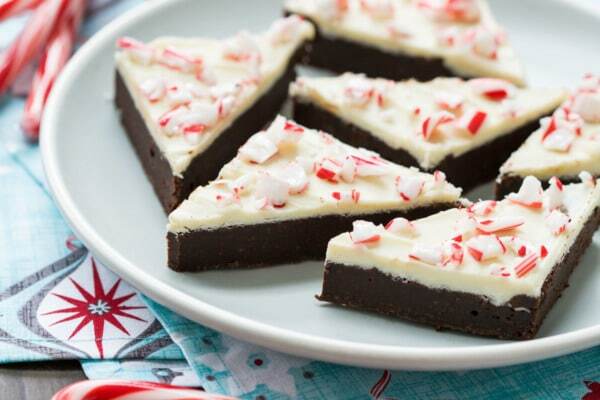 These look perfectly fudgy and I love the peppermint bark on top! I was JUST daydreaming this exact idea a few days before this was posted! They look amazing. I just have one question: is there any alternative to vegetable shortening? That stuff freaks me out. You could use pure cocoa butter (be sure it’s culinary grade), which will help thin out the glaze in much the same way. It can be costly and hard to find though, which is why I used the shortening. Lindsay – do you think coconut oil would also work? I’m tempted to try it. In place of the butter in the brownies or the shortening in the bark topping? Definitely the later. I can’t speak to whether it’d work to swap for the butter as that’s a bigger part of the recipe, though I have made brownies successfully with olive oil so I imagine so? Do let me know if you try it! How do you cut them so beautifully without hitting chunks of candy and making the chocolate crack? I made these today and they were tasty, but didn’t cut as nicely. A hot knife gets through the chocolate but doesn’t help when there’s candy in the way. How did you manage this? Yes, cutting can be tricky. I tried to place my cuts so they hit as few candy pieces as possible, even in some cases moving big pieces that were in my way. Other than that, being sure the brownies are thoroughly chilled and using a large, sharp knife is the way to go. I just made these, everything was going according to plan. Brownies were in the oven an all. Then my mom decided to vacuüm. Thanks mom, now I totally didn’t here the alarm. Result, brownie crumbs. All dried out:(. So sad, I was really looking foward to the fuggiest brownies ever. Next time I’m making these, no one exept me is allowed in the kichen! I am drooling over the fudgey-ness of these brownies!! I would love to attempt to make them the base of my favorite cheesecake… What do you think? Is it do-able? 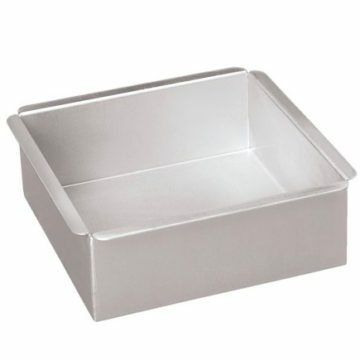 Would I need to double the recipe for a 9″ springform pan – or do you think there would be enough batter as is?? (I would love the “crust” to be about as thick as the brownies are in your beautiful photo). Thanks! What a creative idea. 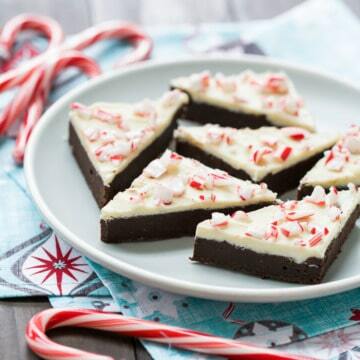 Peppermint bark and brownies all in one. Yum. I tried this recipe but couldn’t get the sugar to dissolve in the chocolate. What gives? It won’t fully dissolve, rather turn into a grainy chocolate paste about the consistency of peanut butter. Does that sound right? When I first saw the picture I was in love thinking it was just a supper thick layer of chocolate under the white part of the bark but then when I read it was brownie I just melted and can not wait to try these I also love dense and fudgy brownies there is no other way to have them. Thank you for sharing this brilliant idea. I was super excited about these (I love fudgey brownies!) but mine turned out super dry and crumbly. The only step I missed was letting the eggs come to room temperature, would that have made that much of a difference? (I have never used room temperature eggs when recipes call for them, and it’s always been fine). The taste was perfect, but I was hoping for that gooey texture. I took them out after 22 minutes so I don’t think they were overcooked. Just wanted to let you know that you weren’t the only one to end up with crumbly brownies… I got a few other comments lately that prompted me to go back and retest the recipe this weekend. The new version is even fudgier than ever! :) I hope you give the new recipe a try! We tried these and they came out very crumbly as well. What is your stir scoop method? Would love to know! I made these as well and like other commenter they cake out extremely dry and crumbly. Followed the instructions to a T and they just didn’t turn out like I expected. Thank you, I much appreciate the feedback. While I never had problems with the original recipe, you weren’t the only one to end up with crumbly brownies, and it prompted me to go back and retest the recipe this weekend. The new version is even fudgier than ever! :) I hope you give the new recipe a try! I made these with new improved recipe and they were fantastic. Not only were they super fudgy, but after putting them in the fridge overnight, they cut like a dream with a knife warmed in hot water. So pretty and my work colleagues loved them. I’ve been looking for a good brownie recipe and I’ve finally found it!!!!! 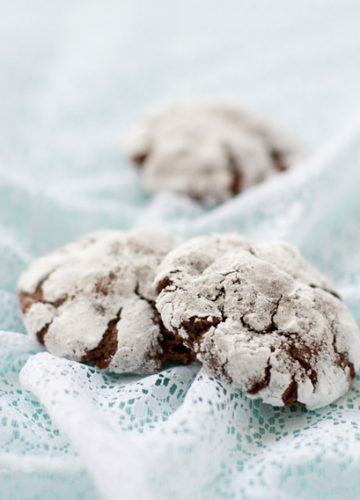 These were a hit at my holiday treat swap and will be my go to brownie recipe. Thanks!!! Just made these for our christmas eve shanigans this year, so glad it keeps a few days to keep day of from being crazy stressful! The batter was amazing and the directions were easy to follow. Thank you! These were a huge hit with my family we loved them! Although next time I think I will use a a white chocolate cream cheese frosting instead of the straight white chocolate topping as we had some issues with it shattering when cutting slices or taking a bite. The brownie base itself was amazing and I look forward to using it again!